Want to Pitch a Game? 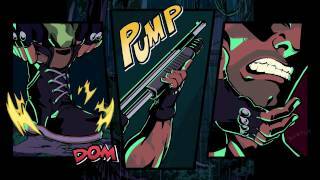 The TakeOver is at heart an old school beat 'em up inspired by games like Final Fight and Streets of Rage. Although the gameplay is based on these classic games it offers an extended combo system, fast gameplay and modern visuals. Using a combination of full 3D backgrounds and high definition pre-rendered sprites, the game is designed with Full HD in mind. Take on the role of one of three streetwise action heroes on the road to revenge to save a kidnapped girl. Whether it's the fast kicks of Ethan or the devastating suplexes of Connor, there's a character for every kind of beat-em-up fan. Crisp 3D backgrounds and HD pre-rendered sprites fuse together to make a beautiful HD beat-em-up experience. Combo battle system that is fun and satisfying for new players, and deep enough for veterans. A killer soundtrack featuring a guest track by the one-and-only Yuzo Koshiro.